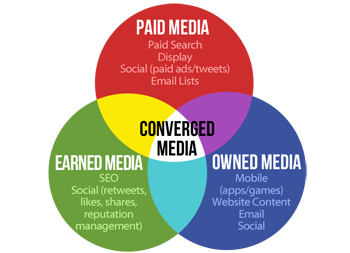 What is the difference between “owned”, “earned” and “paid” media and what does it mean for your digital strategy? Think of earned, owned and paid media as part of the whole and all contribute to a complete digital marketing strategy. Owned media is any web property that you can control and is unique to your brand. One of the most common examples is a website, although blog sites and social media channels are other examples of owned media properties too. Channels like social media and blogs are extensions of your website, and all three are extensions of your brand as a whole. The more owned media you have, the more chances you have to extend your brand presence in the digital sphere. Earned media is essentially online word of mouth, usually seen in the form of “viral” behavior such as, mentions, shares, reposts, reviews, recommendations, or content picked up by 3rd party sites. Examples of earned media include editorial placements, market reputation and impactful word-of-mouth. You influence the content to offer fans influential and constructive brand content to consider. If owned media sites are the destination then earned media is the vehicle that helps people get there. What good is a website or social media site if no one is seeing or interacting with it? That’s where earned media comes in. One of the most effective driving forces of earned media is usually a combined result of strong organic rankings on the Search Engines, and content distributed by the brand. First page rankings and good content are typically the biggest drivers. Rankings on the first page of the search engines place your owned media sites and content links in a position to receive higher engagement and shares, which is why a good SEO strategy is crucial. When it comes to brand content, interesting, informative content can come in all shapes and sizes. Whether it be a blog, infographic, video, press release, webinar or e-book, the bottom line is that the content has to be worthwhile in order to receive the valuable earned media; which is why a great content strategy is also important. Paid media is a good way to promote content in order to drive earned media, as well as direct traffic to owned media properties. Paying to promote content can help get the ball rolling and create more exposure. 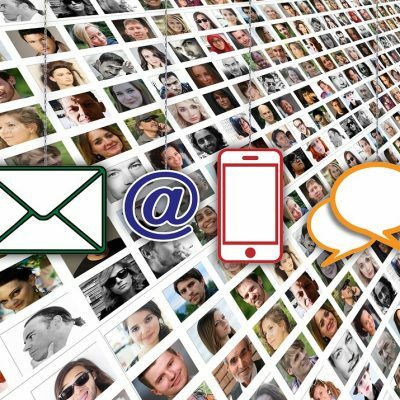 Social Media sites like Facebook, Twitter and LinkedIn offer advertising that could potentially help boost your content as well as your website. Another way to gain more exposure for your content is to pay influencers to tweet or share your links, impacting the reach and recognition your pieces receive. Using retargeting, Pay Per Click (PPC) and display ads is an effective and more direct way to drive searchers to your owned media sites like your website, to help increase traffic and/or conversions.